I love wearing really comfortable clothing...everyday. all day. But even more, I love when these comfortable clothes help a great cause and that is what I found when I found Niice Stuff! They create fun, unique apparel that's designed with care & they do it for an important reason. “Niice” is an acronym that stands for “Nurturing Individuals Inspiring Children Everyday.” This is the heart of Niice Stuff—making the world a better, nicer place each and every day by nurturing the lives of youth everywhere. Wouldn't that be Niice? Niice Stuff began with a vision for helping others. Did you know that in this country only 10% of children who get adopted are over the age of 12? At Niice Stuff, they are on a mission to help more adolescent children like their son find their forever families. And by purchasing any item on their website, you too can be part of this very important mission. For every item you buy, a percentage of the profits will be donated to the Community Partnership for Children. 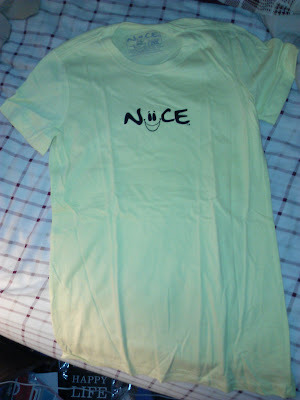 I received two awesome products from Niice Stuff: a Women's Tee and a Cinch Sack. Meet an instant favorite you’ll find yourself pulling on every chance you get. This 5.6 oz Pigment-Dyed and Direct-Dyed Tee is made from 100% ringspun cotton that is sure to give you that fresh clean look with that truly cozy feel every time you wear it. This ever-so popular grab and go over-the-shoulder style cinch sack is made from extremely durable 100% canvas, with cotton webbing straps and a heavy duty zippered front pocket for all your Niice things when you’re on the go. This bag has been perfect for carrying my shoes and other accessories to my sports games this summer! I love the zippered pocket for protecting my phone, chapstick etc and the bigger area is great for shoes, sweatshirts, etc! It is easy to open and close and easy to carry! LOVE IT! 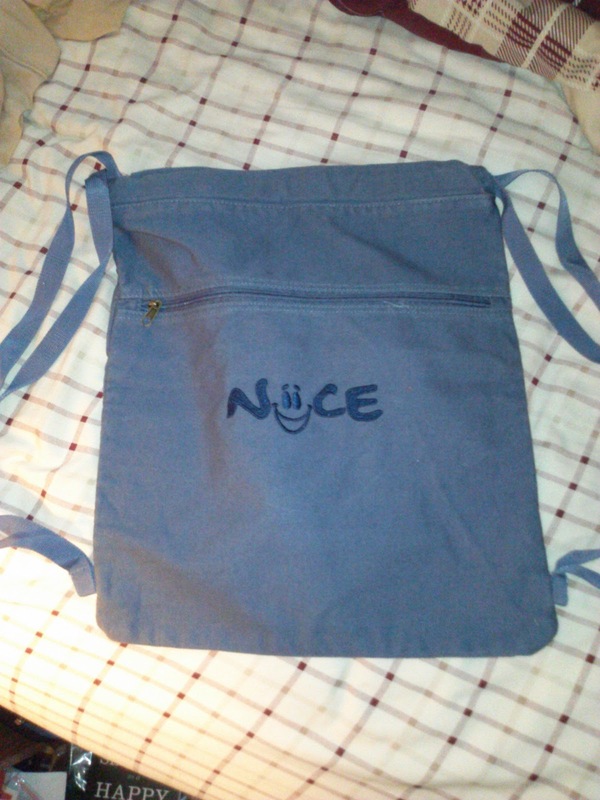 So, if you want to support a great cause and have quality, helpful and comfortable products, check out Niice Stuff! 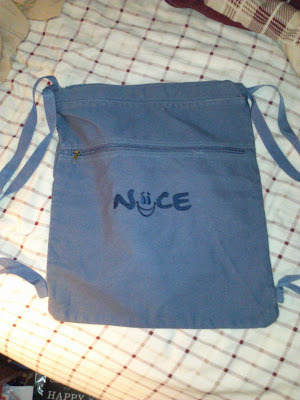 Buy It: You can purchase all products from the Niice Stuff website. Win It: Niice Stuff is generously offering (1) Niice Hat to a lucky winner!